The 10 Best Hair Salons in Maine! Whether you’re dying your hair purple or getting a basic trim, finding the right hair salon is key! Fortunately for those in Maine, the selection is top quality. From Portland to Kittery, here are the 10 best hair salons in the state! At O2 Salon, customers are treated to a variety of treatments and styles in a stress-free, no-pressure environment. Whether it’s cutting, styling or coloring you’re seeking, the experienced stylists want you to love the results. O2 Salon also features waxing and brow and lash tinting. Featuring hair styling, cutting, coloring and more, Bella Hair Studio is perfect for both women and men. Barber services are available, as are a variety of hair removal services, as well as manicures and pedicures. Barbering, creative cuts, coloring and more are all on the menu at Ethan Hunter Salon. Jessica and Justin Hunter own and operate the salon, which is named after their late son. They are known for the level of comfort they provide their customers. Billed as a salon and spa, the Jonathan Douglas Salon & Relaxation Studio provides a wealth of hair treatments. Get a sassy new cut or a brand new color. Try some foils or a high shine gloss. Regardless of your choice, you’ll leave feeling fabulous—and you’ll look that way, too. Kiya Hair Studio has been creating beautiful hairstyle for 15 years. The salon itself is adorable, situated in the revitalized Wallingford Square part of town. Choose from services including cuts, styles, coloring, foils, texturizers and more. Hair extensions are affixed here and waxing services are available. Susan Donnell owns and operates the salon. Her customers sing her praises loudly. Called “Maine’s original luxury hair boutique,” Matthew John Salon has perfected Bayalage, but provides a variety of other hair services, too. The makeover guru uses only the finest products available, and creates a hair experience—not simply a hairstyle. For hair styling that’s all natural, visit Maine Natural Hair and Skin. Cuts, coloring, styling and deep conditioning are all performed using eco-conscious, non-toxic products. The results are stunning. Offering all natural and safe products for their hair and skin services, Organic Beauty Salon has amassed an impressive following. Customers love the blowouts and coloring options and the facials and body treatments are nice services, too. Nationally acclaimed stylist J. Henry is a beauty expert by many people’s standards. 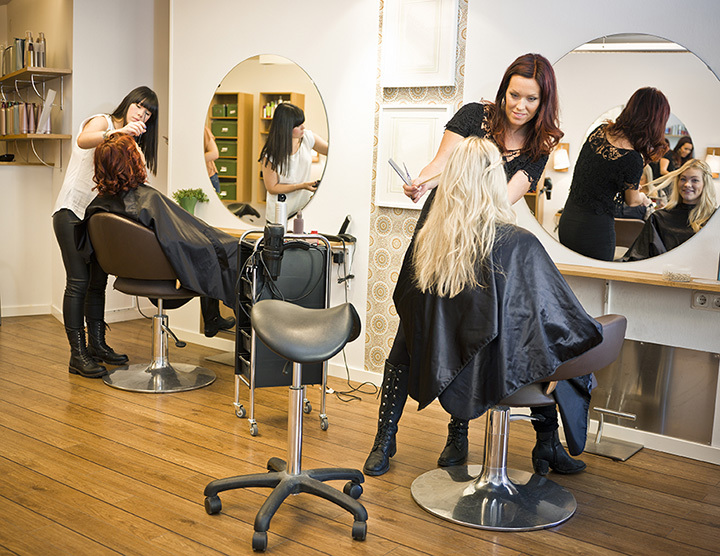 The full service salon provides cuts, styles, color and bayalage—as well as a variety of hair treatments. Only luxurious products are used and sold at the salon. Colleen Brink Salon provides countless hair services. Get your hair cut and styled. Enjoy a blowout. Choose from a wide range of coloring options. Consider hair extensions. Book an updo for a fancy event. No matter what you want done, Colleen Brink does it with precision.